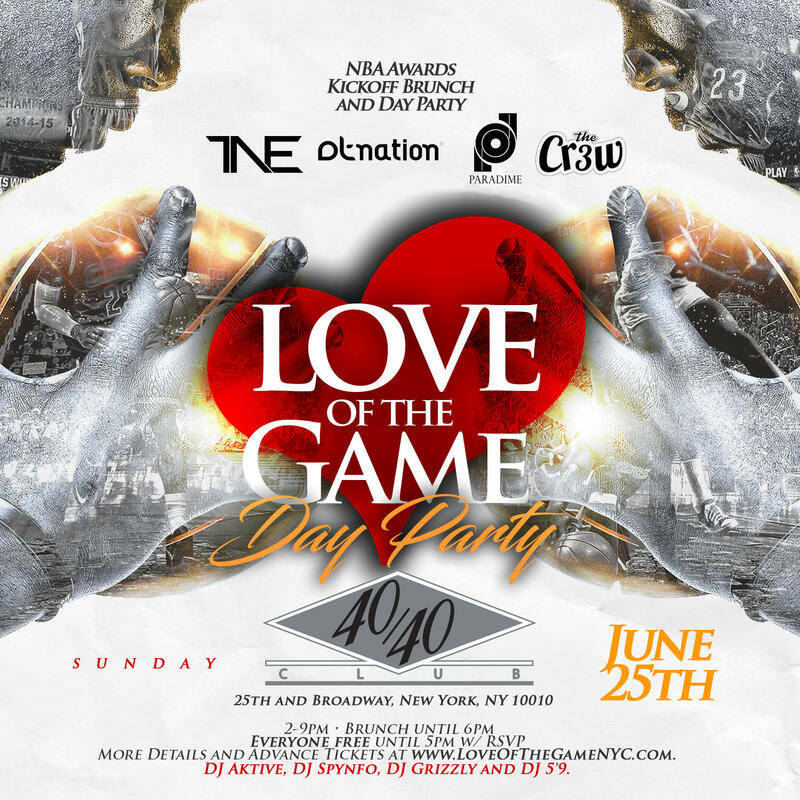 Join us for perfectly orchestrated NBA Awards Kickoff Brunch and Day Party at The 40/40 Club on Sunday, June 25th! With the best DJ's NYC has to offer, this long awaited event embodies this cities love for the game of basketball. Brunch is served from 2PM - 5PM. The party continues until 9PM. RSVP now for brunch or purchase a discounted advance ticket for guaranteed admission after 5PM.